With Call of Duty: Black Ops 4 Patch Update 1.16 Treyarch brought the new story chapter to Operation Grand Heist’s Zombies mode called “Ancient Evil”. The update also added Barebones game modes to the multiplayer and adds a new Perk Zombshell and Ricochet Friendly Fire on PS4. Today, Treyarch dropped a new Call of Duty: Black Ops 4 update for April, that brings the new Alcatraz map for PS4 that will also be available on PC and Xbox One soon. 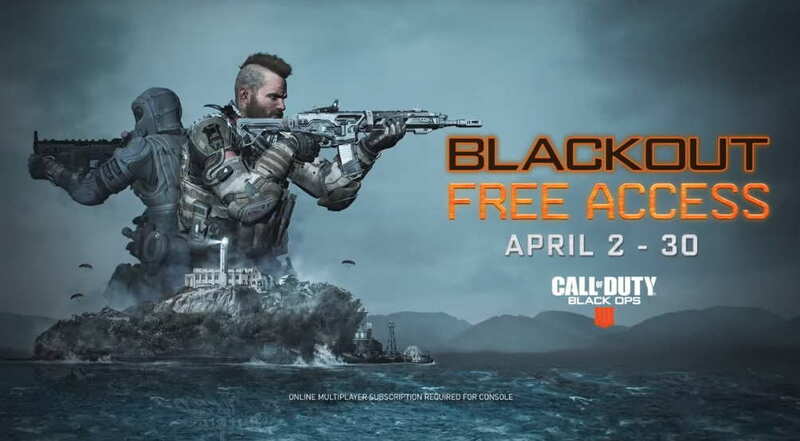 Now, the Black Ops 4 Blackout Battle Royale Mode including Alcatraz map is totally free for players on all platforms. The latest also brings Operation Grand Heist’s Zombies mode called “Ancient Evil” to all platforms for free. Notably, the Alcatraz map will be available for free through this whole month, starting April 2 and will be live till April 30th on all platforms. Treyarch has also shared the full patch notes for the Call of Duty: Black Ops 4 April 2 update. Below you can find the summarised version of this update below. The full patch note details can be found on the official Treyarch Reddit pages here.